Developed with Vismara Marine and the ICAD Research Consortium, “Belladonna“ is the result of several years of work and research in the top-level racer section; IMS optimisations carried out by the collaboration between the two design offices. 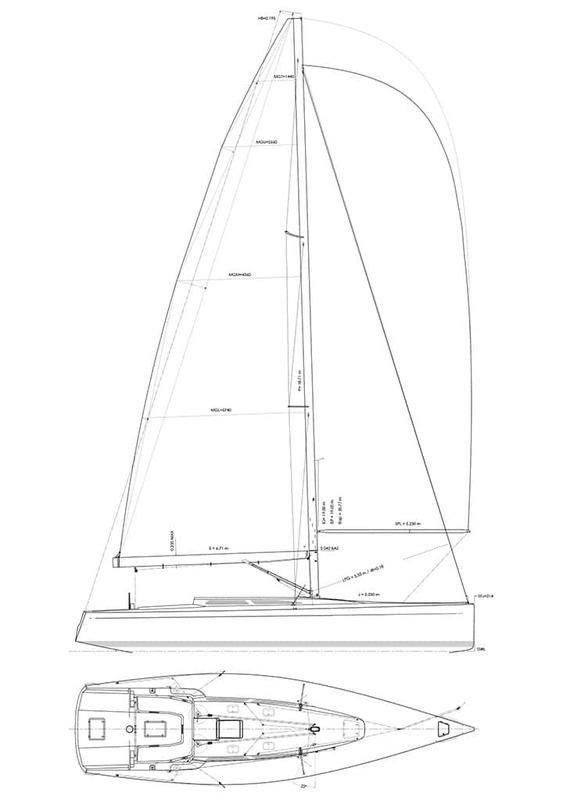 The project of Belladonna, designed as an one-off boat for a French racing client, followed the lines drawn out with the range of previous 40 IMS racer-cruisers: a philosophy that seeks the maximum competitiveness for racing and exploitation of IMS regulations, but also allows a sporting-cruising use. 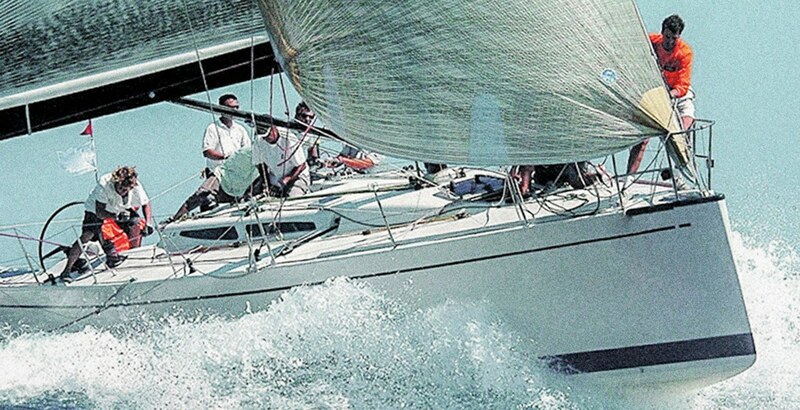 The project therefore followed two lines of development, almost as if dealing with two separate boats: hydrodynamic research and optimised rating parameters, as for a pure racer and the integration of structures and furnishings in order to create a roomy, comfortable interior without any adverse effect on the weight. The hull lines are the state-of-the-art for IMS 2004 regulations, with high stern profile, deep U sections, vertical sides and buttocks with very tight diagonals. The classical setup for the current IMS is completed by: the sail plan with low overlap jib, a very large mainsail, deep draft keel, without end bulb and a high concentration of weights with possibility to fit different amounts of lead ballast in the bilge to have the better weight/performances/rating compromise for different racing venues. The ICAD consortium’s contribution, using the powerful Computational Fluid Dynamics (CFD) software available, allowed us to improve hull line analysis, considering the “free surface” effect which is not taken into consideration by either VPP or IMS software. CFD was used to studing the appendages too, as well as to develop aerofoils that, to win this rating, have a greater wetted surface but less resistance to forward movement thanks to laminar flow. The necessary integration of structure and fittings, plus the desire to create an elegant style both on deck and for the interiors, are based on the the line of the Vismara 45 ft Open “Margherita“ and “Gemini”.